If someone asks me where to eat in Ras Al Khaimah before, I might find it difficult to give a quick reply. Ask me now and I will recommend Basilico in a heartbeat. Go on a Friday between 12 to 4 pm and experience GourMed Brunch. 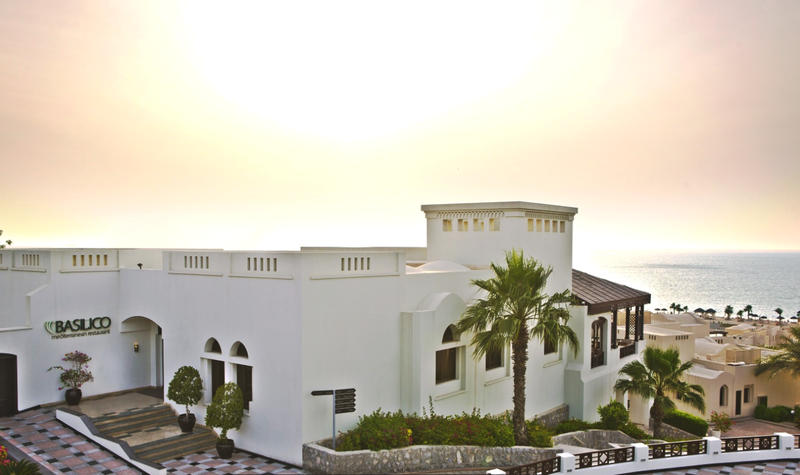 It is where you'll find delicious food, upbeat atmosphere and stunning views of the Arabian Gulf. That's exactly how I remember our dining experience here. Basilico is an award-winning restaurant. It offers a variety of traditional choices of delectable Meditteranean dishes with reverence to Italian cuisine. You'll find Basilico nestled at The Cove Rotana, a five-star hotel and resort located on an idyllic water inlet on the Ras Al Khaimah beachfront. 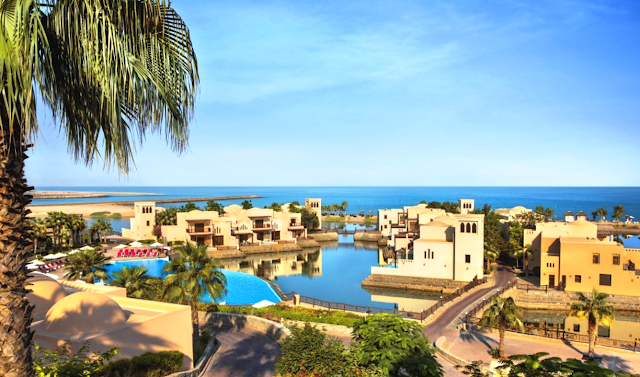 The resort boasts 600 meters of pristine beach overlooking the Arabian Gulf, two outdoor infinity pools, and Nubian inspired rooms and villas. It is an hour and a half away from Dubai and an hour or less from where we live in Sharjah but I definitely wouldn't mind driving all the way here to enjoy GourMed Brunch and to unwind. We all know that a change of scenery from time to time is good for the mind, body and soul. GourMed Brunch showcases an extensive buffet. From a wide variety of dishes in the buffet spread, my favourites were the mushroom and spinach risotto, seafood paella, orange duck breast, smoked salmon, and freshly cooked pizza from the live cooking station. For dessert, I enjoyed a mouthful of cheesecake, tiramisu, and some fresh fruits. Washed it all down with some sangria and fresh juices. You can also order from the a la carte menu for the mains. Try their Black Ink Spaghetti, Roasted Duck Breast, and some Homemade Ravioli. GourMed Brunch package starts at AED 255. You can upgrade your brunch experience by enjoying the beach or the pool by just adding AED 100 to your package. We promised Prince he can swim after food so we head out to the poolside after lunch. Prince enjoyed swimming and was happy to leave the water after half an hour. The bigger kid, on the other hand, was contented to take a few shots by the infinity pool. And I can't think of any other way to end a perfectly spent Friday in Ras Al Khaimah.